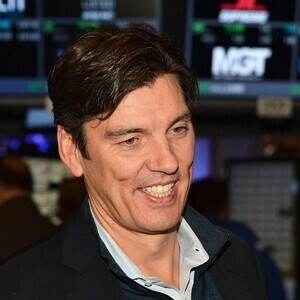 How much is Tim Armstrong (AOL CEO) Worth? Tim Armstrong net worth and salary: Tim Armstrong is an American businessman who has a net worth of $450 million dollars. The former President of Google America, Tim Armstrong took over as CEO and Chairman of AOL, Inc. in 2009. He is also a United Football League founder and the owner of the Boston Blazers LaCrosse team. Timothy M. Armstrong was born in December 1971. He graduated from Connecticut College in 1993 with a double major in Sociology and Economics. Tim's career started by cofounding and running a newspaper in Boston. He is a member of the board for the Interactive Advertising Bureau, the Advertising Research Foundation, and the Advertising Council. He is also a trustee at Lawrence Academy and Connecticut College. Armstrong was one of the founders of the United Football League and owns the Boston Blazers of the National Lacrosse League. 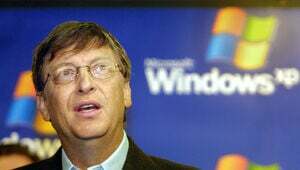 He is the CEO and Chairman of AOL Inc. since 2009 and former President of Google's Americas operation. Armstrong also was one of the cofounders of Patch Media, a news website. In 2009 Armstrong took AOL public on the New York Stock Exchange. He has been involved in controversy, blaming President Obama and "distressed babies" for an over $7 million increase per year for AOL's healthcare costs. In 2013 Tim Armstrong was paid a salary of $1 million, but his total compensation was over $6 million. Verizon Acquisition of AOL: Tim was instrumental in selling AOL to Verizon in 2015 for $4.4 billion. He remained at Verizon until 2019. Despite the fact that Verizon eventually wrote down 50% of the AOL acquisition value, Tim was paid $60 million when he left the company.